Sometimes even a hero needs someone to save him. Mark Connor doesn't feel like a hero even though he served two tours in Vietnam and survived a vicious ambush that took the lives of all but a handful of men. But he lost his best friend and lover, and now he refuses to be close to anyone. That makes his instant attraction to Josh a real problem. Josh Myers hires on with Mark to help him with a remodeling job. A survivor himself of a Beirut bombing, he embraces life with open arms. But he can't get his new flame to take an interest in love, in life, or in himself. 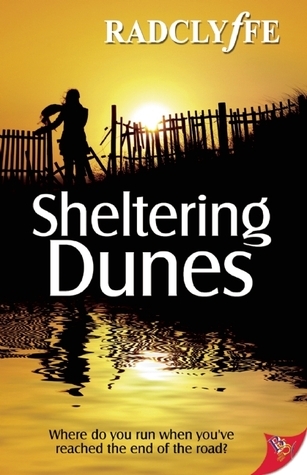 Alone in the northern Outer Banks in January, Mark clings desperately to his past, even as Josh offers him a future he doesn't think he deserves. On a whim, Josh leaned around Mark, reaching for the bowl on the other side of him. Sweet Christ, he smelled good. With total disregard for personal space, Josh pressed against the other man as he reached, pinning him back against the counter. Mark wore a faded t-shirt, the fabric soft and warm against Josh's bare skin. Josh felt muscles stiffen as Mark froze under him, eyes widening. Josh saw a flash of attraction and confusion in Mark's dark gray eyes. Pressed groin to groin, the seams of the other man's jeans rough against his now growing erection, Josh felt Mark's instant and unmistakable response. For a long moment it hung there between them, electric and charged. What started out as mischievous, even playful, could be something more. The urge to kiss this man flashed across Josh's mind, impossible to ignore until he saw fear come into Mark's eyes. This is another book that I was sucked in by the blurb and it really had me on the fence about deciding if it was my own personal pet peeve that stops me from seeing what a wonderful book this was. LOST AND FOUND is a fairly short read but I would not say it is an easy read. Almost the entire story takes place in an isolated beach house that is being renovated by Mark Connor and as such everything feels more intense. Mark operates as a sole building contractor where possible and he does well at this from the way the story is told - because he has been doing this for a couple of years. Whenever he gets a job that is a bit more than he can manage he advertise locally and get someone in to do the odd bits here and there and then send them on their way. With this house he is working on he needs help and Josh happens to be the only one that has responded to his advert..
Mark is this tough guy, looks it, acts it and believes it - but what he is, is a veteran of war, a war he went to as a young man and came back as a shell of himself to an ungrateful country who might has well have shun him for all the respect he got from them – He also came back without the man he love. Mark has still in alot of way not left that war zone. Josh is a survivor of a more modern but no less bloodier war and he has his own scars to prove he was there but he has not given up on life, to be honest he lives. That is about the simplest way I can put it, he enjoys the moment, he is comfortable in his skin and he makes no apology for who and what he is. The beauty of this story is really in how these two men rub against each other after they get to the house, how well they pick up on the emotional temperature of the moment and how alert they are to sounds, and gut instincts. One of the first things I noticed about these two is that they do have a high regard for professional integrity – despite the fact that they get together in the end, the two without knowing each other understands that it does not take getting along on a personal level in order to get the job done. How they talk to each other takes some getting used to and this area is one of the things that made me cringe in the book – they talked to each other in a way that really put my back up, the language is harsh and the tone is quite brash. One or two instance, yup I could work with, but this was the standard for them. While this is a major pet peeve for me – I will say that the language suited the plot, the men, and the overall picture anything less and the book would not be what it is. Whatever niggle I have with this book, they were not enough to take away form how good this book is. A multitude of issues are dealt with and some are so layered that even after I finished reading this book – I thought about something else that worked well. The ending of this book was brilliant, simply brilliant and totally made LOST AND FOUND for me. Hmmm... I think I'm a more impatient reader than you are, so not sure how well I'd do with this one. It's not long and I think that in itself is impressive how much is condensed in so few pages..
Great review. I like how you commented on their professionalism, which is an aspect that deserves mention. Too often books and especially romances forget they have jobs to do with all the tension and drama. I like that this book never lets you forget. Thank you my dear.... I definately enjoyed this book..
Harsh language is a personal quirk of mine - but as I said, I couldn't imagine the book any other way..
Congrats on the release and looking forward to the boys next sotry..